Lucky for you Apple device users out there, Southwest has an iOS app that will work on all of your devices. Also, if you're a member of Southwest Rapid Rewards, you can manage your profile, view your points balance, and more. As the most popular mobile platform in the world, Southwest has taken notice of Android and provided an app for most Android devices. As is often the case, the Android app offers the same functionality as the iOS app. 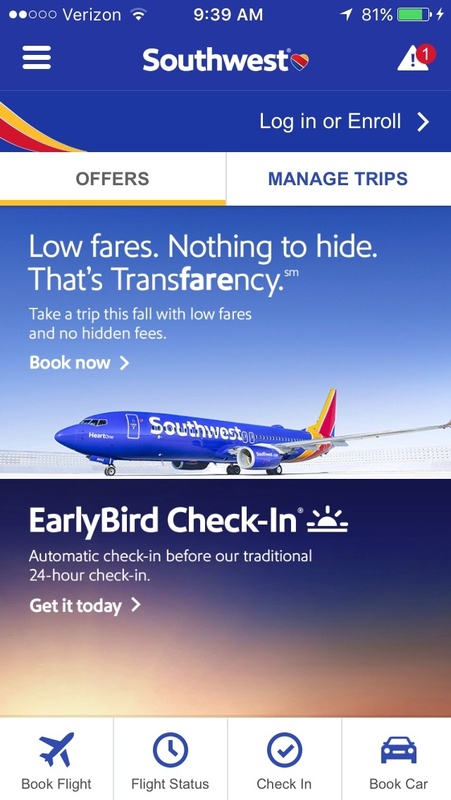 If you're just looking for their mobile site, you can head on over to http://www.southwest.com on your mobile device.